In this new series, we are shining a light on DIACC Directors, who work to drive the digital economy forward in Canada. 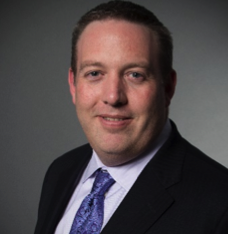 Meet Marc Brouillard, Chief Technology Officer for the Government of Canada. Why are you (and your organization) committed to advancing digital identity Canadians can use with confidence? TBS is leading the Government of Canada’s OneGov vision, with the goal of enabling citizens to access any service (e.g. passport renewal, tax filing) on any device (e.g. smartphone, voice assistants, cars) on any platform (e.g. Google, Expedia) with any partner (e.g. provinces/territories, private sector, academia). Digital identity is a foundational and enabling component to this vision. We are committed to digital identity because it is a key enabler and starting point for the digital transformation of our services to Canadians. 2. How important is digital identity in the context of Canada’s economic and societal growth? It’s extremely important and foundational to our OneGov vision. Within the public sector, digital identity is crucial in ensuring the integrity of programs, increasing the efficiency of delivering services and improving the overall experience of interacting with government for Canadians. However, within the private sector, digital identity plays an even more important role: it can reduce overall transaction friction and play a role in multiplying benefits enabled by innovative business models and new investment opportunities which contribute to overall economic growth and benefits for Canadians. 3. When it comes to strategy, how do you see Canada as taking a lead in comparison to other regions? The Government of Canada is looking closely at what other countries have done with digital identity and is applying lessons learned from their experiences to its approach. Some countries have implemented mandatory national identity card schemes, but Canada’s approach will be federated in nature. Rather than mandating a single centralized identity, Canada’s vision is to enable an individual to use any trusted digital identity of their choice to access high-value services. Trust will be established and verified through the Pan-Canadian Trust Framework (PCTF), a public-private partnership designed to establish common rules across the country to validate the trustworthiness of the various digital identities and enable interoperability across jurisdictions. 4. What do you predict for the future of digital identity in the next year? Technology is rapidly changing and new capabilities are emerging on the horizon. I am hoping for some pleasant surprises. We are monitoring very closely the developments in self-sovereign identity, blockchain and digital wallets. We are seeing innovative solutions being proposed by many vendors. It’s too early to tell which will be the winners, but we want to ensure that we can weave the innovation into a standards-based ecosystem that will accelerate our own digital service delivery. 5. What digital identity issues do you see as important that need more attention? The biggest challenge is trust and adoption. Will Canadians actually trust the digital identity solutions available to them? Will they actually understand how to use and integrate these solutions into their everyday lives? We need to pay close attention to how we build the trusted solutions and how Canadians feel about these solutions. 6. How important is public and private collaboration in the effort to advance digital identity and what role(s) might each sector play? The digital identity space is a rapidly changing environment and, as identity increasingly moves from a paper to the digital world, the lines between the public and the private sectors are blurring. Public and private collaboration is especially important as we collectively adapt to disruptive technologies that are changing the landscape of identity. As a government, we need to ensure that there is a fair, competitive marketplace for the private sector to thrive, but we also need to fill gaps for services that only the public sector can provide. We need to satisfy citizens’ demands for convenience and choice. Both the public and private sectors have major roles in service delivery. The public sector has a distinct and special role in creating foundational evidence identity (birth and arrival in country record) which merit unique treatment. However, the private sector can add significant value in the provision and management of digital identities, anchored to foundational evidence of identity. Together, the public and private sectors serve Canadians by: establishing legislation, regulations and standards, and providing valuable services that comply with legislation, regulations and standards. 7. What drew you to become a leader on the DIACC Board? For me, it’s an opportunity to work with the best experts in the industry, and make a contribution to Canada across many sectors. Canada has an opportunity to lead globally in this space, and I want to be a part of that, helping to foster collaboration across public and private sector boundaries. 8. What advice would you give to others who are thinking about investing in digital identity or becoming members of the DIACC? Digital identity is needed by everyone. Digital identity will affect everyone. Either you will shape the digital identity agenda, or be shaped by the digital identity agenda. DIACC is an opportunity for you to shape the digital identity agenda and work with the best digital identity experts in the world. 9. Are there any other thoughts you’d like to share with our readers? It’s an exciting time for digital identity. There’s no shortage of innovation. We are doing most of this work in the open, so we encourage you to contribute your thoughts. Full collaboration and partnership across Canada is critical to tackle this very important initiative.